Axxess 2015 is valid through December 31, 2015. 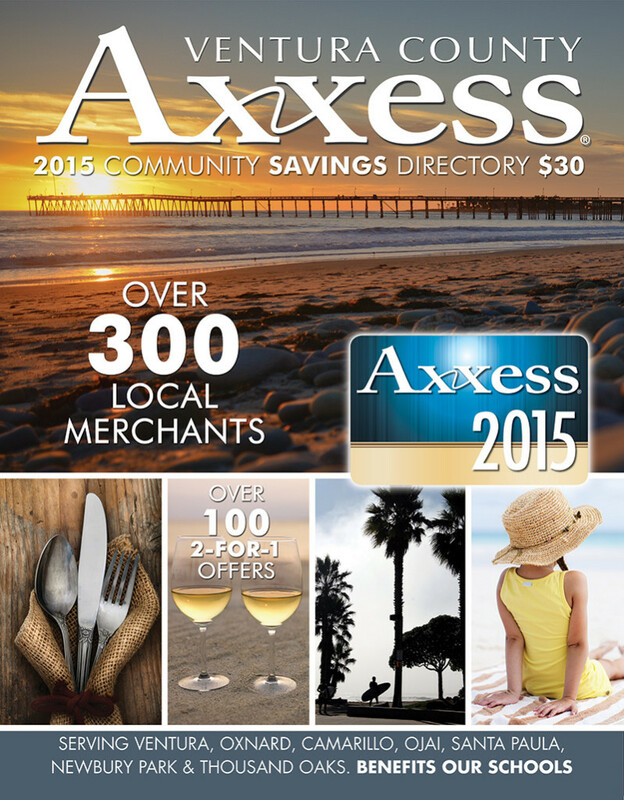 Axxess 2015 features exclusive discounts at over 300 local merchants, including unbeatable savings on dining out, wine tasting, your home, your health, your car & your kids. There are no coupons. Membership includes a Merchant Directory & an Axxess Card. Axxess is simple and smart. Show your card, save your money! Average savings per family per year is $300. Visit our online Merchant Directory to view the list of participating merchants. Save up to $2.50 per person! Discounted tickets are available for Cinemark Theatres in Ventura. Visit our online shop for purchasing information. Save on admission to California’s leading Theme Parks and attractions including: Aquarium of the Pacific, California Academy of Sciences, Disneyland Resort, Gilroy Gardens, Knott’s Berry Farm, Knott’s Soak City, LegoLand, Six Flags Magic Mountain, Six Flags Hurricane Harbor, Monterey Bay Aquarium, Santa Barbara Natural History Museum, San Diego Zoo & Safari Park, Santa Barbara Maritime Museum, Santa Barbara Zoo, SeaWorld, Ty Warner Sea Center, Universal Studios, and more. Your satisfaction is guaranteed because we’re confident you’ll be happy. Fundraising with Axxess is one of the best and easiest ways to raise funds for your organization. From kickoff to completion, we will guide you every step of the way. We provide you with all the materials you will need, and help you identify the best channels to promote your fundraiser. We will even do the reconciliation and fulfillment for you. Our methods are flexible and designed to minimize your effort while maximizing sales results. We have already raised over $1,000,000 for local schools & non-profits. The best part is, we are a locally owned & operated – here to support you and ensure your success throughout the fundraiser.It’s Easy. Everyone loves thier Axxess Card! Axxess has become a trusted household name, so Axxess Memberships practically sell themselves. With an average savings of $300 per family per year, a $30 Membership is well worth it! Ten dollars ($10) of every book sold goes directly to your organization, which means you’ll see more dollars per unit sold than most other fundraisers. There are NO minimums and NO up-front costs. Checks are written directly to your organization so you are guaranteed to get the funds raised – without processing delays.If you’d like to know more about fundraising with Axxess please read our FAQ or contact us. 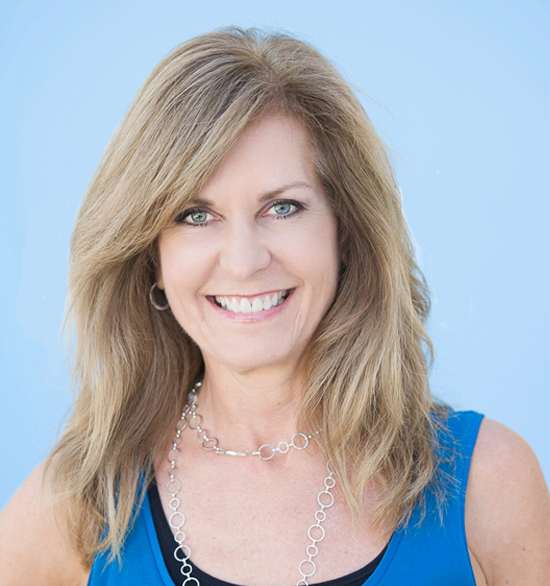 Axxess is the largest paid merchant and consumer association in California with programs in Santa Barbara, Ventura, Conejo Valley and South Bay. Axxess is a cost effective program that delivers new customers. Your offer to our members serves as an incentive for them to patronize you. It’s that simple. We get them in the door and provide you the opportunity to earn a repeat customer. You can track the cards, see the results and measure the return. Your participation in The Axxess Card Program includes your ad in the printed directory as well as in our online directory, iPhone app and mobile friendly directory. Your participation also includes the design of your print ad at no charge and one Axxess Membership for you to enjoy. Upgrade your participation to include additional services at any time. Axxess Franchises are locally owned and operated and supported by 15 years of experience and proven results. Axxess is the #1 community fundraiser and has raised over $1,000,000 for local schools & non-profits. Your participation in The Axxess Card Program is supporting our community.